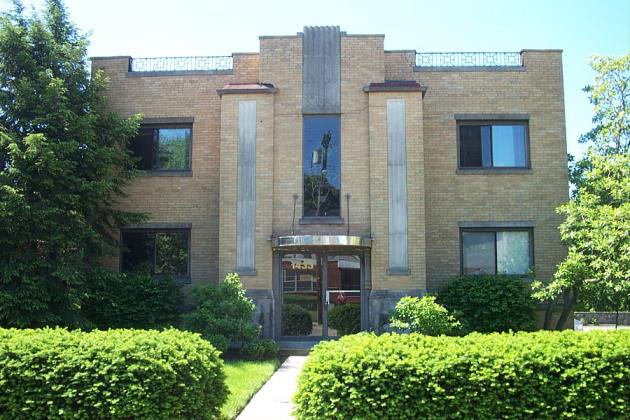 Paradrome Properties began in the 1960’s with the purchase of properties on Paradrome Street in Mt. Adams. Paradrome Properties now owns over 300 apartments in four of Cincinnati’s most select neighborhoods: Hyde Park, East Walnut Hills, Eden Park and Mt. Adams. By carefully choosing and maintaining buildings with architectural integrity in historical neighborhoods, Paradrome Properties has achieved an unparalleled level of commitment to the communities it serves. As a result, there is no place like Paradrome. Our properties are conveniently located to the downtown area, University Hospital, Children’s Hospital, University of Cincinnati Campus, The Cincinnati Art Museum, as well as Interstates 71 and 75. Our residents are mostly young professionals. We have a diverse selection of apartments offering something for everyone. We just wanted to thank you for providing us with such a wonderful home for the past 5 years. We will always have a place in our hearts for you guys and memories at the Clermont. Many thanks to you and your staff for helping us during this transition. We have always been treated kindly and with respect by everyone at Paradrome – You guys are the best! We wanted to let you know how much we have enjoyed living here! In looking for a home, we set fairly high standards when we attempted to find something as nice as this apartment. Thank you for everything. I enjoyed living in the apartments. You guys were really really awesome. Thanks for 6 great years! It has been a great year, and you guys have been an excellent leasing company to work with. I hate to have to move from this apartment. Also, I will strongly recommend Paradrome Square to anyone I know looking to relocate to or within Cincinnati. It has truly been a pleasure living at Madison Court. Thank you so much for providing me with such an excellent leasing experience. On a personal note I just wanted to say I have thoroughly enjoyed this charming apartment and neighborhood. Thank you for being a responsive and approachable property owner/company – it made renting a pleasure!